Lotus rolled into Beijing sans Dragon stickers. Lotus recently arrived at the 2012 Beijing Motor Show and brought with them their fastest and most powerful model ever - the . This isn&apos;t the first time, however, that we have seen the powerful, racing inspired ride. The first arrived in concept form at last year&apos;s Pebble Beach Concours d&apos;Elegance in California and then arrived in production form at the Frankfurt Auto Show. This model was specially prepared for China, as it garnered plenty of praise from members of the Far Eastern car market. 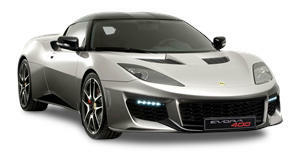 The China Limited Edition Lotus will be produced in only 118 units. It packs a 3.5-liter supercharged V6 engine rated at 444hp, just like its F1 counterpart. The motor is matched to a bespoke automated manual transmission. In case you may have forgotten, Lotus has given the an egregious amount of carbon fiber fitted on both the interior and exterior for weight saving measures. The carbon fiber rear wing, doors and both bumpers have in fact saved the street-legal racer over 165lbs. It sits on a set of forged lightweight alloy wheels.